Ruth Davidson has been leader of the Scottish Conservative Party since 2011, and since then she has led a political revolution. From a party of just 1 MP, Ruth is now leader of the Opposition in Scotland, with 13 MPs and 31 MSPs. Equally historic is her status as the first openly gay leader of a political party in the UK, as well as being the youngest party leader at the age of just 32. 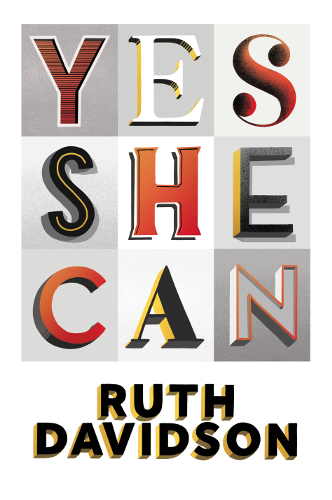 In her personal and inspiring new book, Yes She Can, Ruth turns her attention to something equally important – the role of women in society. Meeting world-beating women from fields as diverse as science, politics, the military, business, and sport, Ruth creates an equality manifesto for the modern age, a timely rallying call to make the life lessons of this book a reality for generations to come. Renowned for her ability to captivate an audience, this pioneer of modern Scottish politics will surely make for an unmissable event. With previous talks by Alex Salmond, Gordon Brown, Nick Clegg, Menzies Campbell, and many others, Topping & Company are bookshops that delight in bringing authors and readers of varied opinion together. As booksellers, we have no common political view. We are very fortunate to hold one of only three events in the UK to celebrate the launch of ‘Yes She Can’, all of which have arranged by her publisher to include a copy of the book with each place.